NET PROCEEDS WILL BE DONATED TO THE MASCOT'S TEAM FOUNDATION. 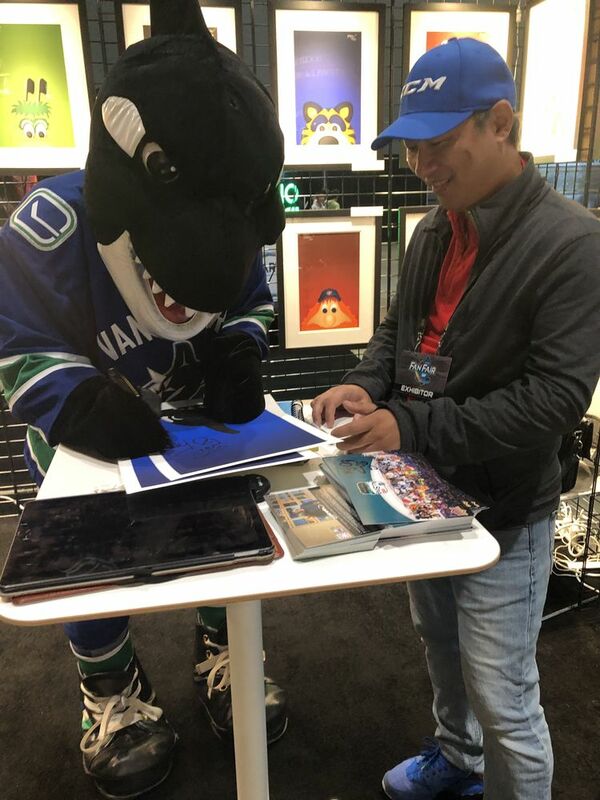 You have a chance to bid on an autograph mascot poster from the Minimalist NHL mascot series by sports artist S. Preston! This print is a 11x17 inches and printed on enhanced matte paper. 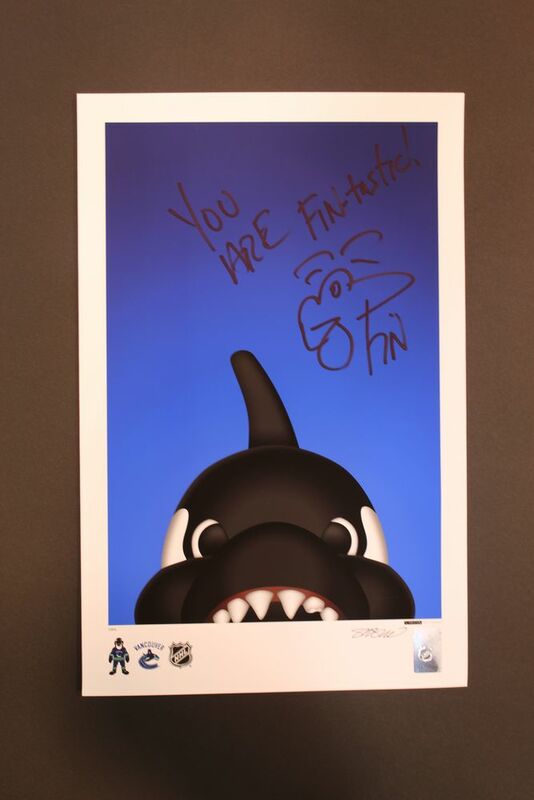 The artwork is hand signed by S. Preston and NHL team mascot, and comes with a NHL hologram. S. Preston is a graphic artist born in Canada and now living in sunny California. Melding his two passions for sports and clean design, S. Preston has defined himself with his unique perspective in the work of sports branding and graphic arts. 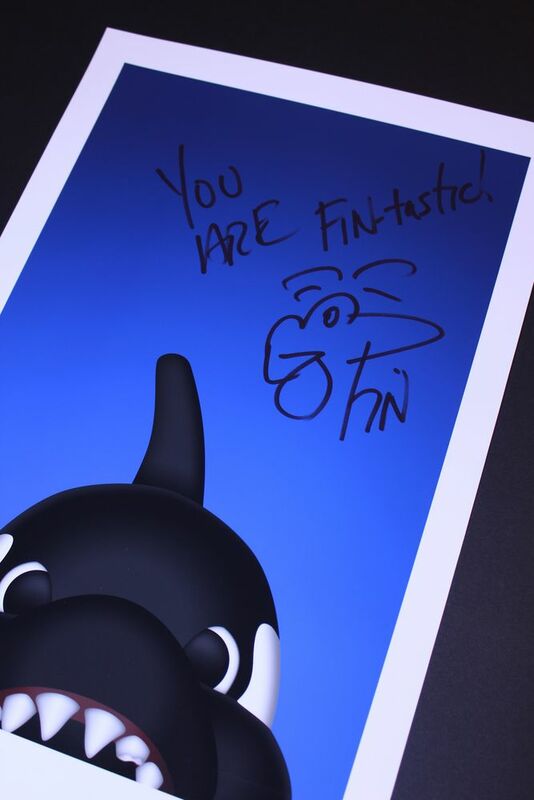 Preston's illustrations have quickly gained popularity across North America. Simply, these designs ignite a feeling of reminiscence and make an emotional connection between sports and art. This reaction has made this series an internet sensation. His clean and identifiable designs have been featured in media across the country, including the NY Daily News, Sports Illustrated and ESPN. See more at sprestondesigns.com. Items will be shipped via FedEx or USPS. Shipping cost for this item is $10 USD within the US and $25 USD to Canada. All winning bidders pay shipping charges and are responsible for all tariffs, taxes, duties and any other additional costs associated with shipping outside of North America.